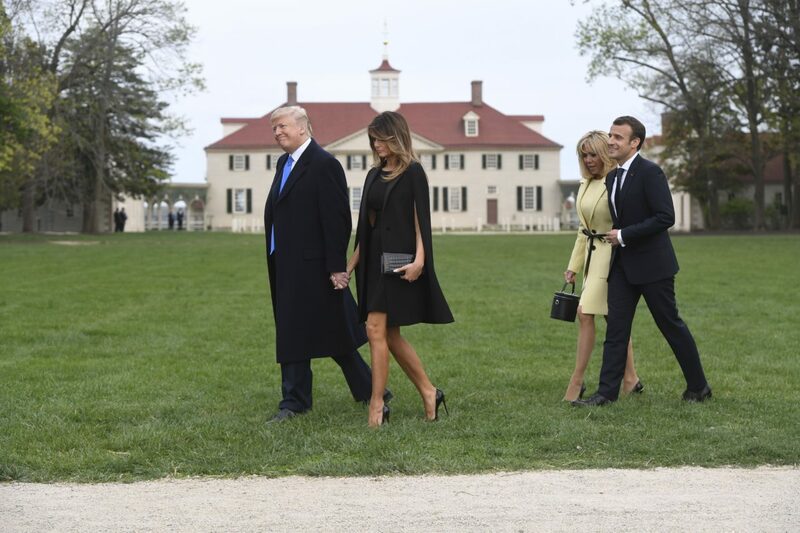 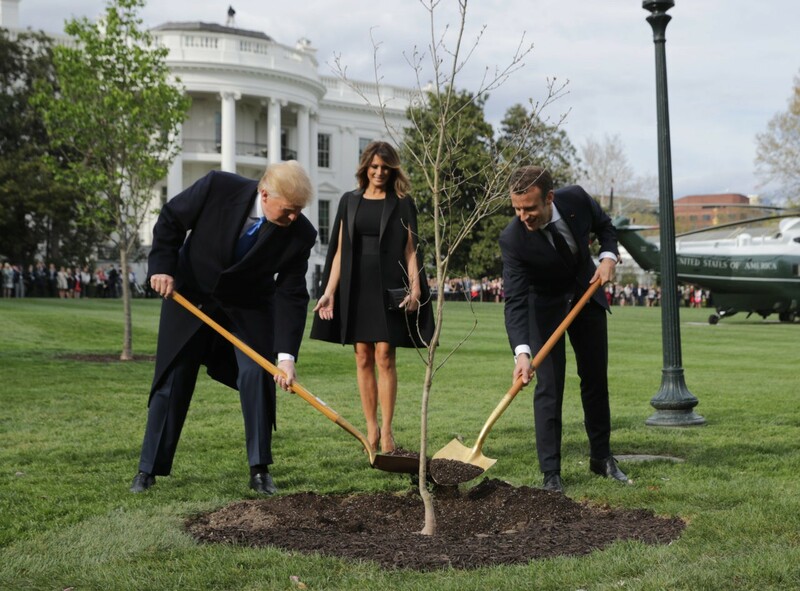 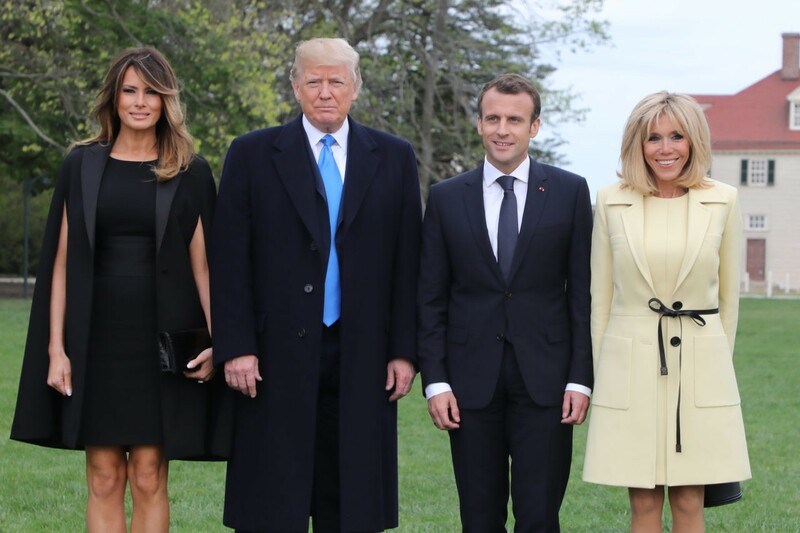 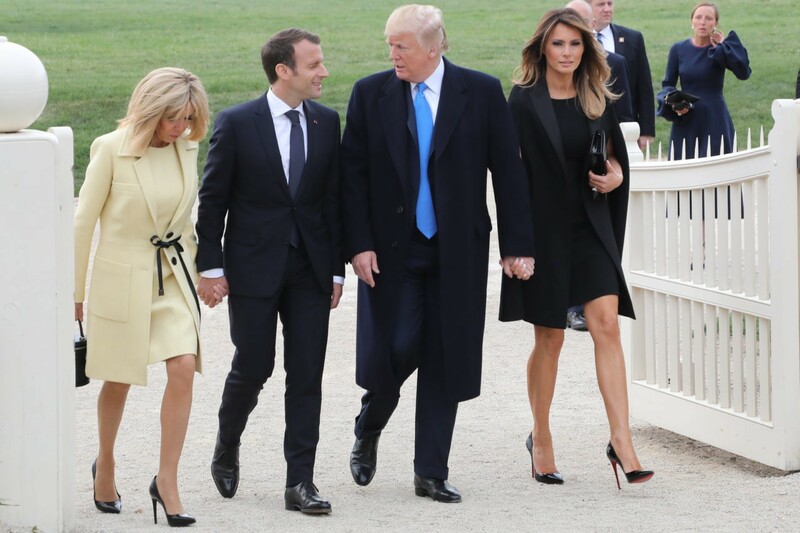 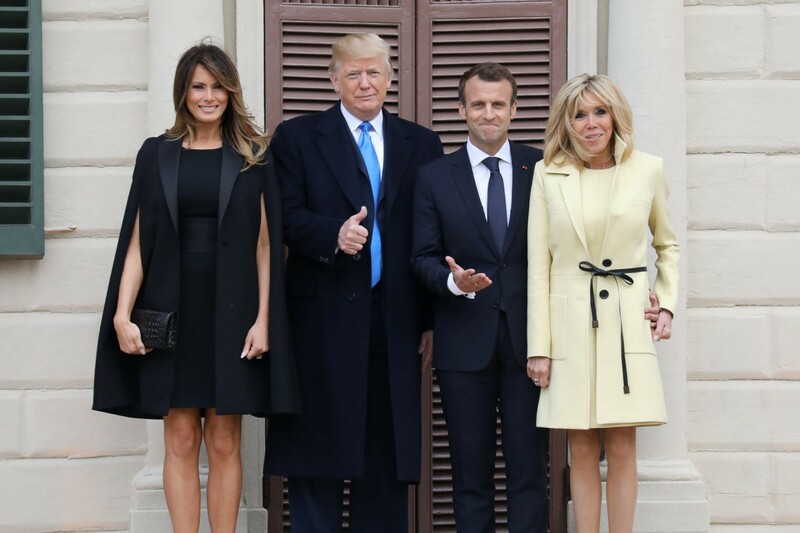 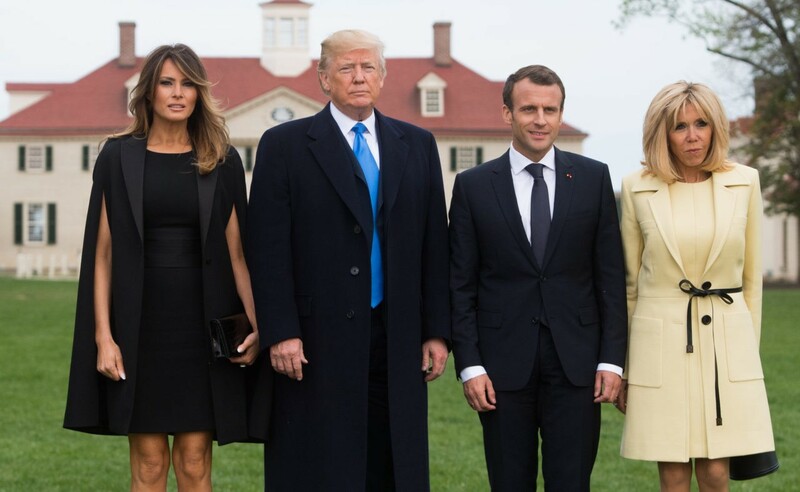 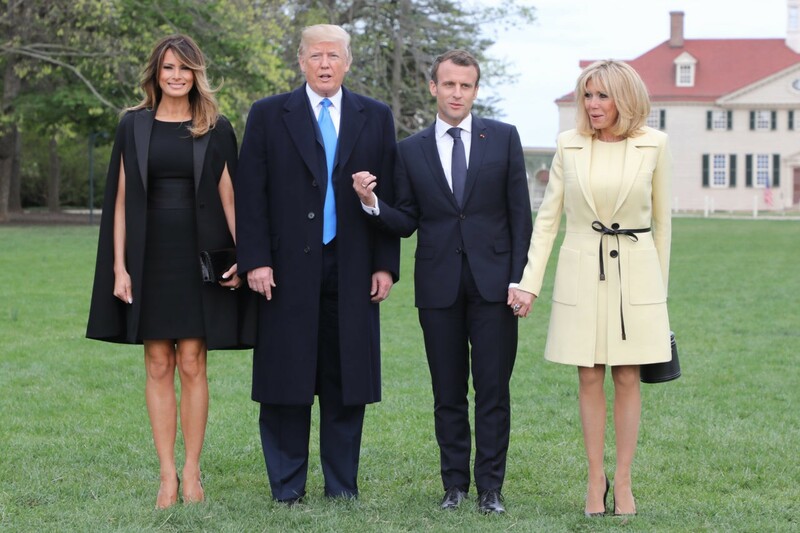 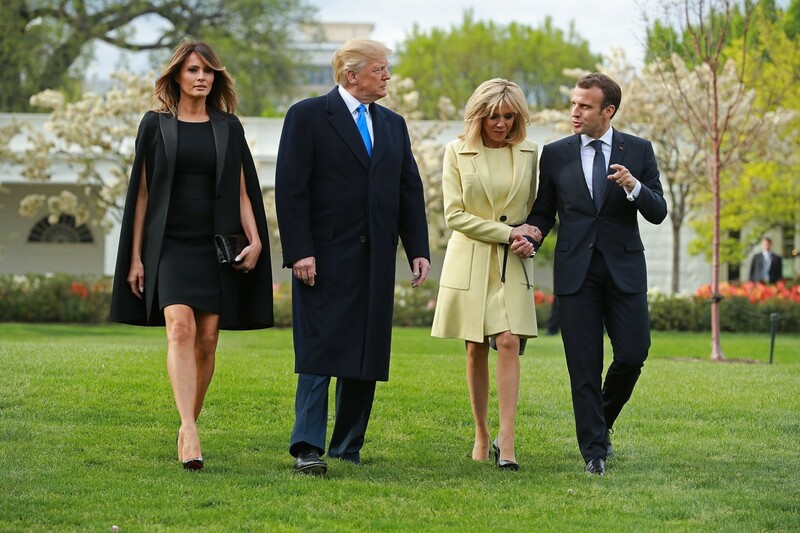 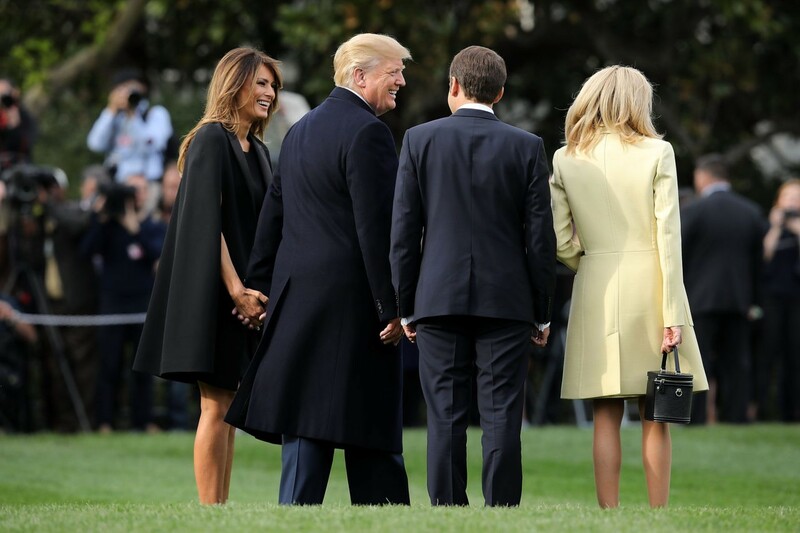 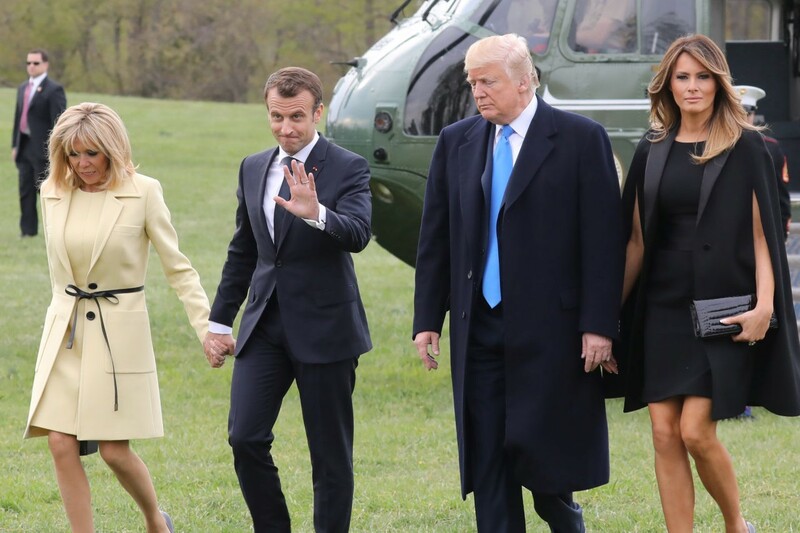 First Lady Melania Trump greeted French President Emmanuel Macron and his wife, Brigitte Macron, at the White House on Monday, alongside President Trump, in only the most luxurious French designs. 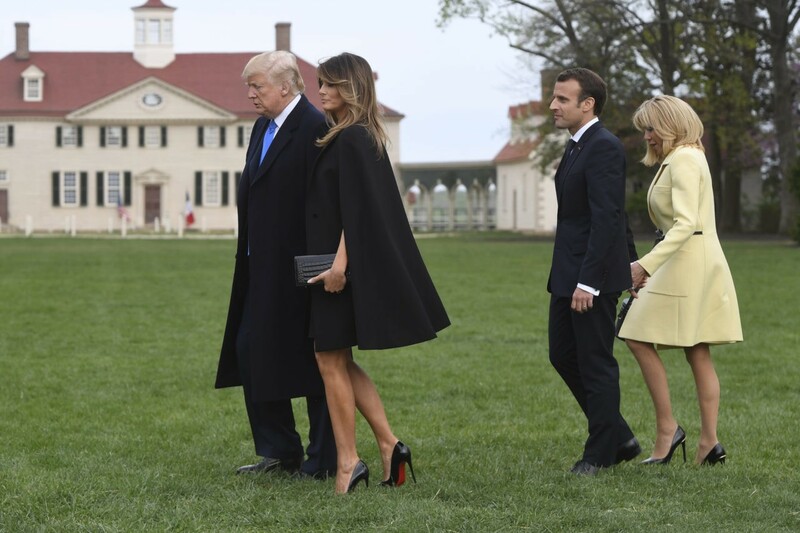 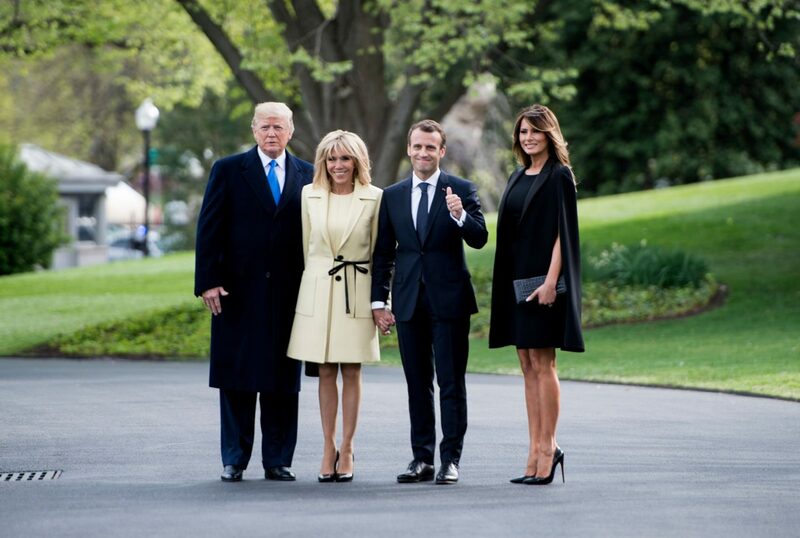 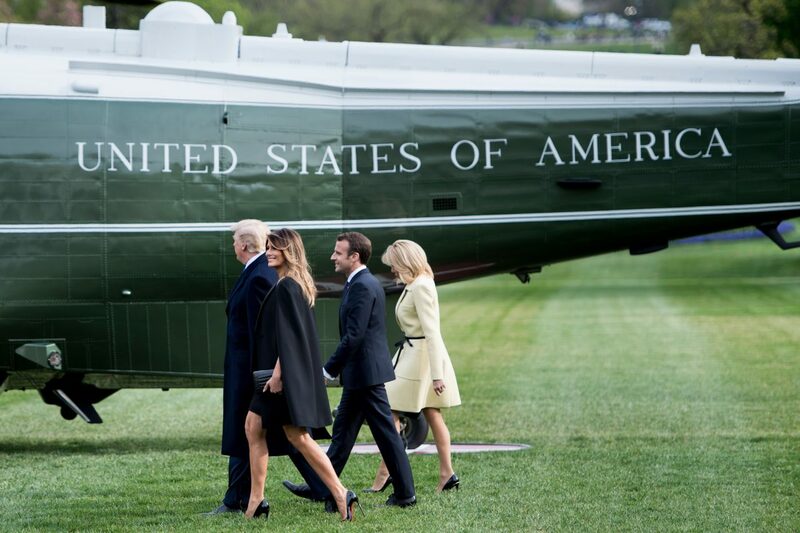 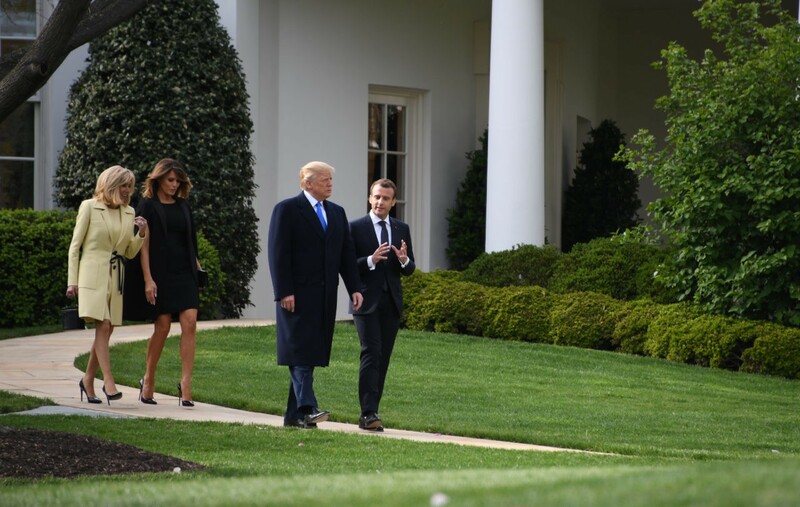 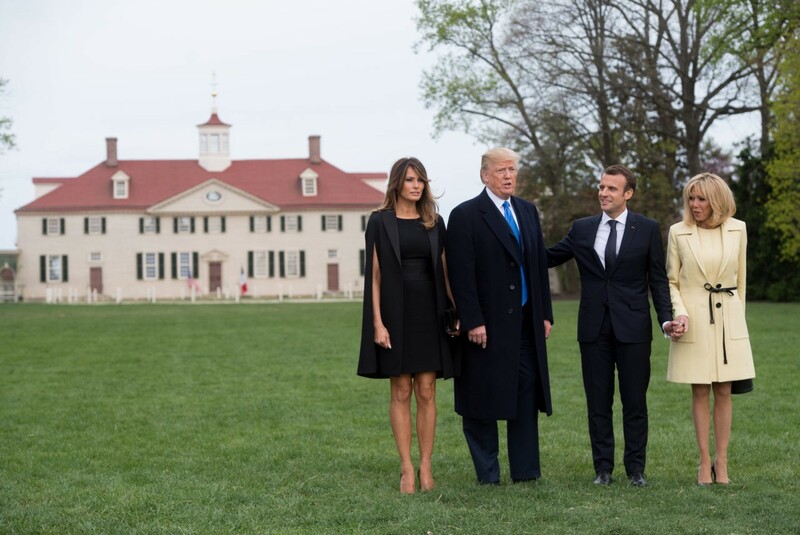 While welcoming the French leader and his wife to the White House, Mrs. Trump paid homage to fashion icon Hubert de Givenchy — founder of the French fashion house “Givenchy” and known for dressing actress Audrey Hepburn — who died last month in a black wool tuxedo-inspired cape. 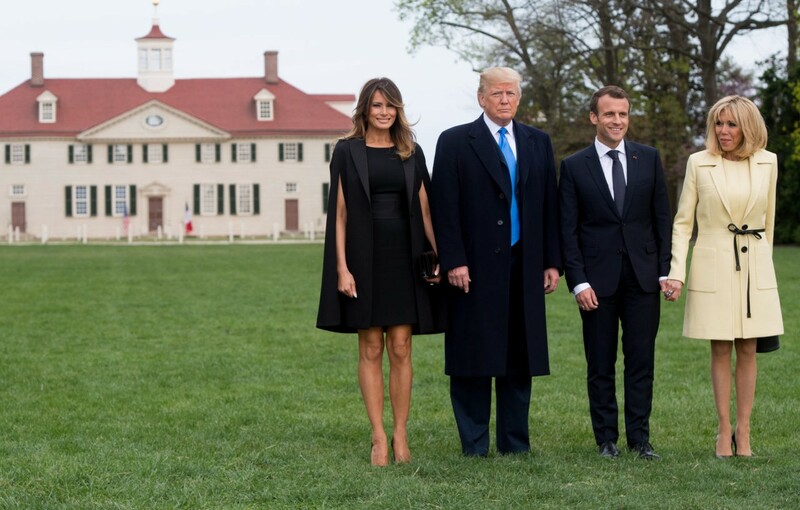 The cape, although Givenchy, could have easily been mistaken for a black tuxedo cape out of Anthony Vaccarello’s latest collection for Saint Laurent, another iconic French fashion house. 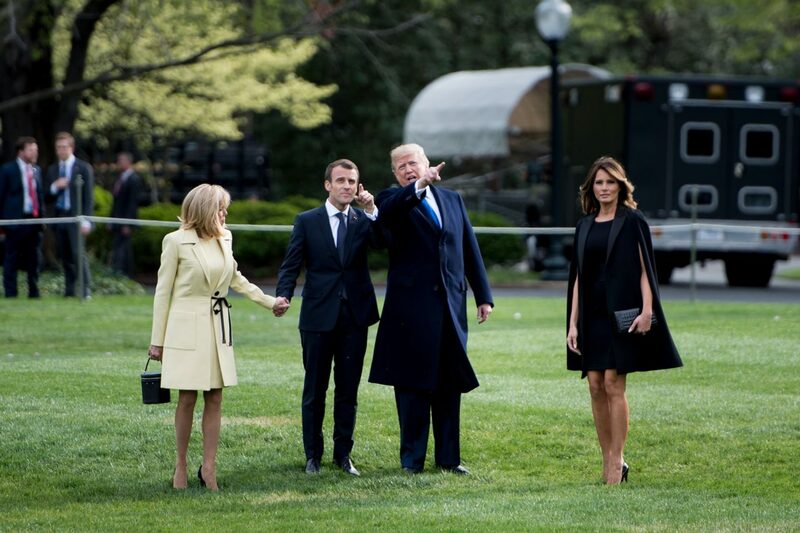 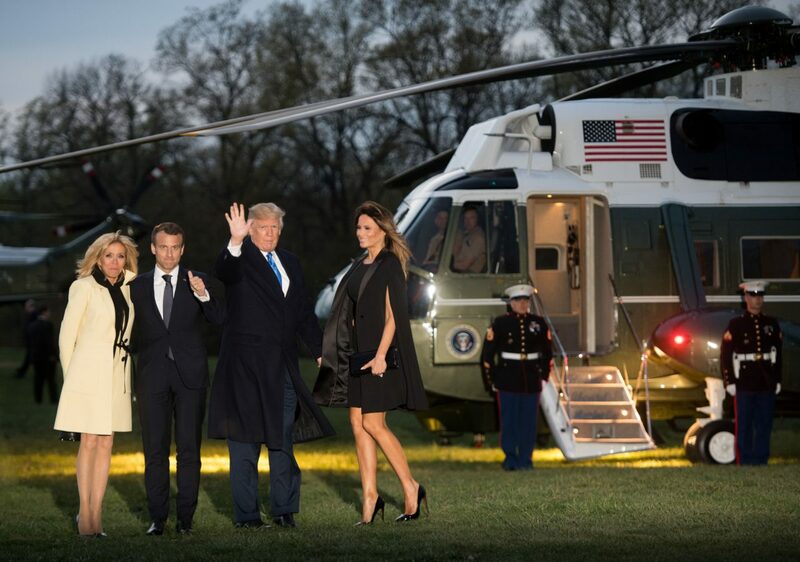 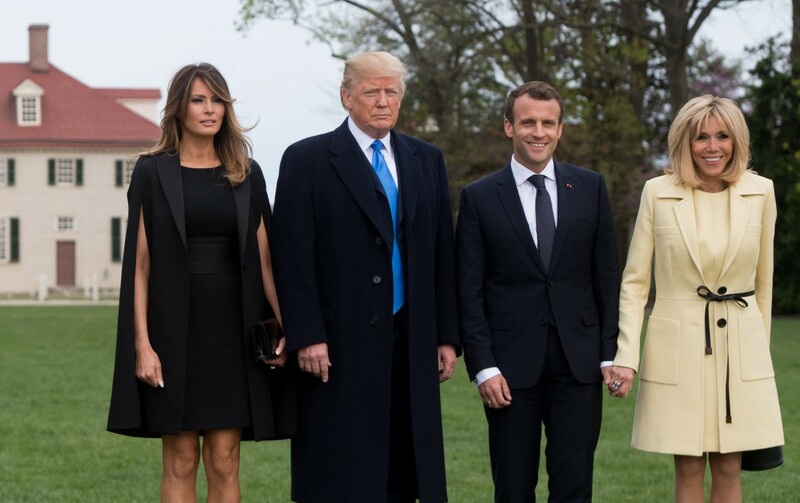 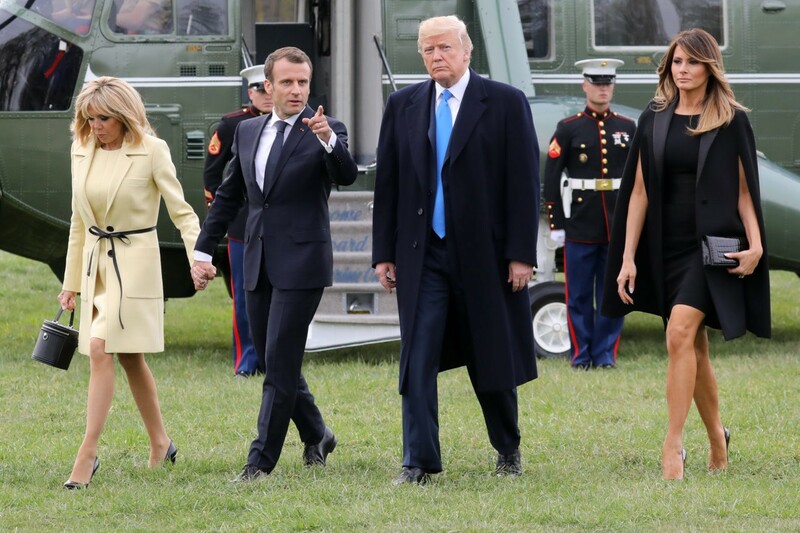 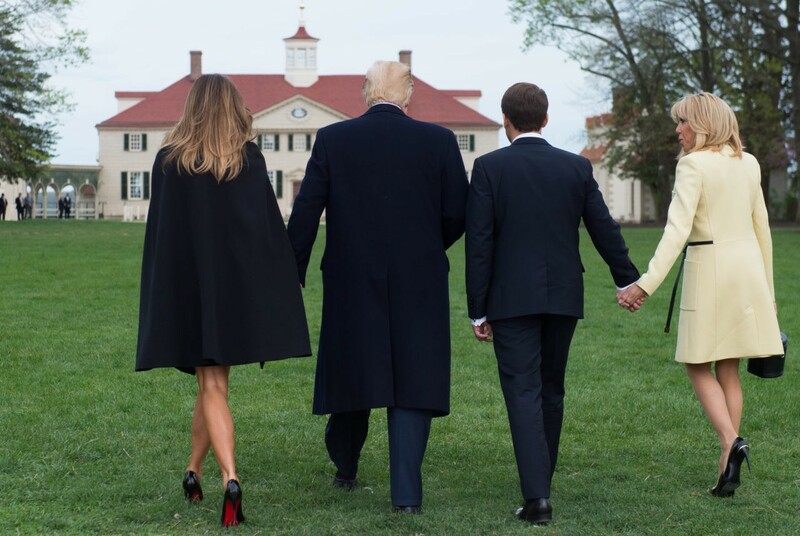 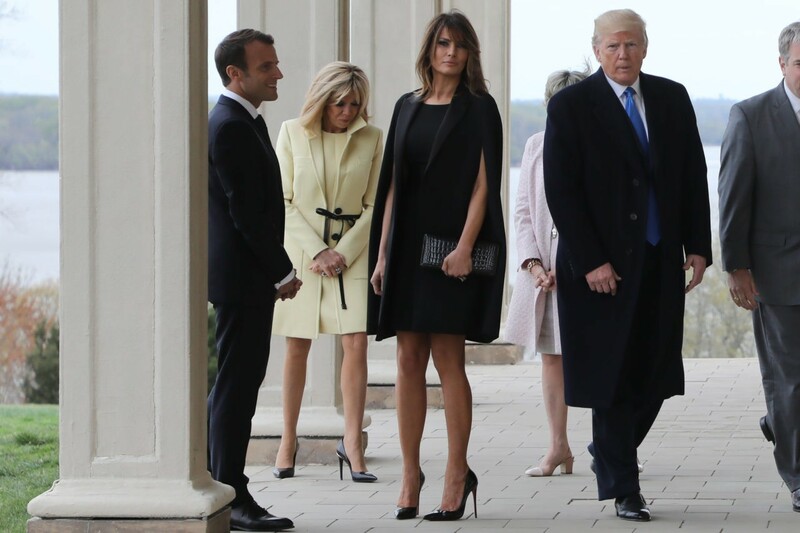 Mrs. Trump piled on the luxury labels for the U.S.-France visit, wearing a black Dolce & Gabbana cocktail dress, a satin cummerbund by Ralph Lauren, a Christian Dior crocodile clutch, and black Christian Louboutin stilettos. 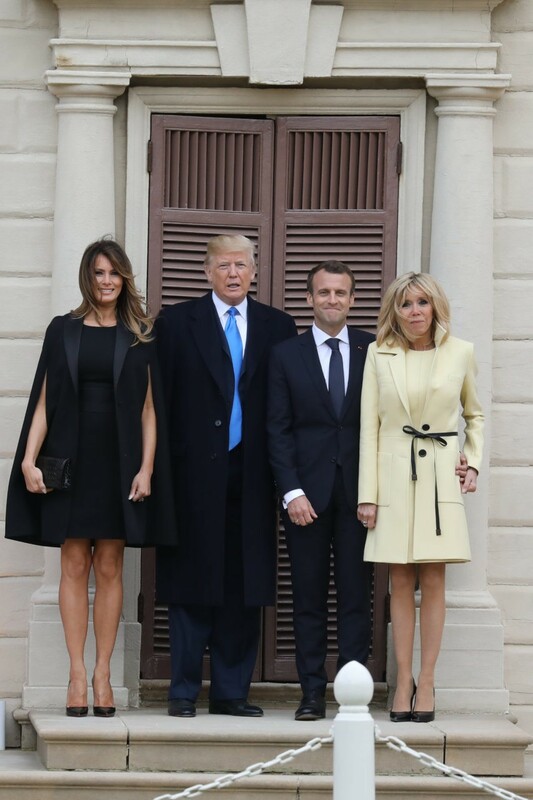 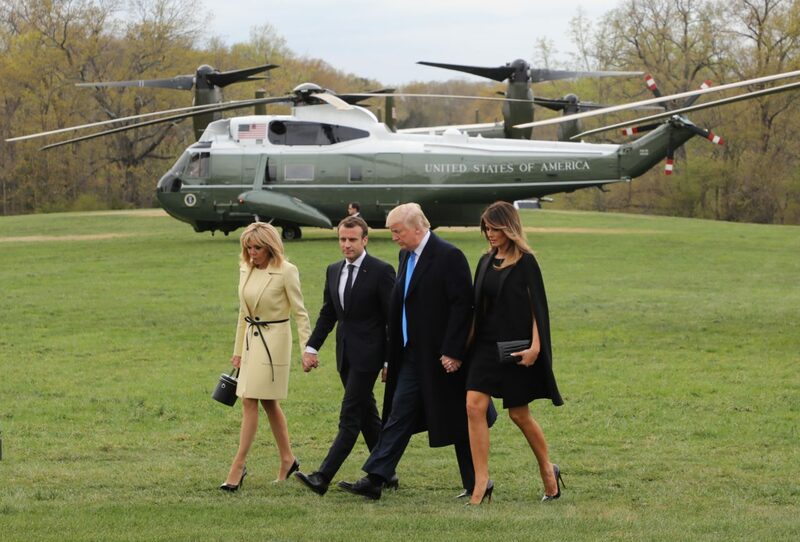 The elegant ensemble is not only an homage to Mr. Givenchy, but also to the city of Paris, which Mrs. Trump has for years considered one of her homes around the globe.